1982- «Մի անհանգստացիր ոչինչից»/ There’s Nothing to Worry About! 1995- Look at the State We’re In! ↑ 1,0 1,1 Host: James Lipton (հուլիսի 31, 2006). 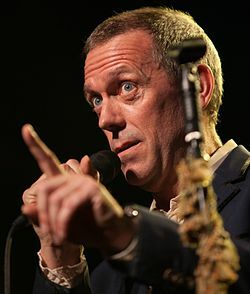 «Hugh Laurie». Inside the Actors Studio. Season 12. Episode 18. Bravo. http://www.imdb.com/title/tt1013111/.